Police have decided not to take any action against a government minister who rowed with a train passenger after her dog fouled a railway platform. 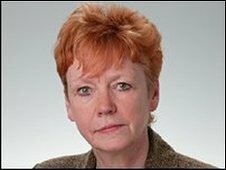 British Transport Police (BTP) were called after the passenger challenged Solicitor General Vera Baird at London's King's Cross and a row ensued. The Redcar MP's puppy fouled a platform at the station in October. But after a six-week investigation into the altercation the BTP has decided not to take any action over the argument. Mrs Baird, a well-known dog lover who had another pet which won the annual Westminster Dog of the Year competition in 2004, said she asked cleaning staff at the station for help. But a mother with her young child confronted her over the mess and an angry row erupted. BTP officers were called to the scene by worried bystanders and a police community support officer (PCSO) spoke to both women. Mrs Baird said: "A member of the public complained to me and she and I had an argument. "As it ended, a PCSO arrived and spoke to me. I complained to the BTP about his attitude. "I have received an apology from the BTP and as far as I am concerned the matter is closed." A BTP spokeswoman said: "BTP was called to King's Cross rail station around 1915 GMT on Sunday, 25 October after a report of an altercation between two women near to one of the station's platforms." She said following an investigation "a decision was taken not to proceed further".